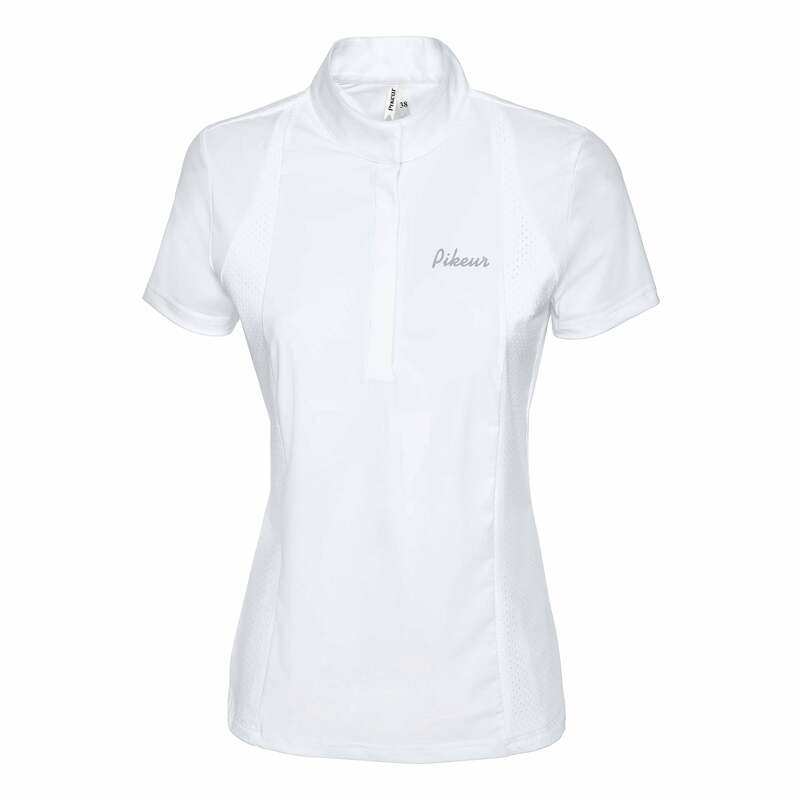 This Pikeur Adina Competition Shirt gives a very sporty and stylish look. The Adina features double layered mesh panels in the sides and back to give great ventilation without losing coverage. This flattering show shirt has a stand-up stock collar and a smooth placket to hide the buttons and is great for summer competitions.